Sterling Stolpe, age 61, of Aurora, passed away Wednesday, May 9, 2018, at his home. The family will hold a Private Service per Sterling’s wishes. Visitation will be from 4 - 7 P.M. Sunday, May 13th at St. Mary’s Catholic Church, 1420 9th Street in Aurora, with a Wake to follow. Rev. Loras Grell will officiate. Interment will be in the Aurora Catholic Cemetery. Memorials may be made to the family to designate at a later date. Higby-McQuiston Mortuary is in charge of arrangements. Condolences may be e-mailed to the family through the mortuary website at www.higbymortuary.com. 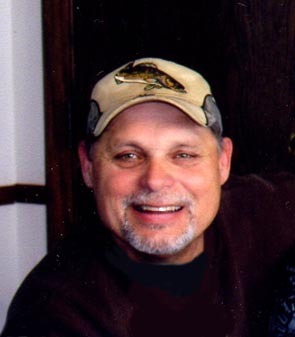 Sterling William Stolpe, the son of Paul and Janet (Voss) Stolpe, was born in Laurel, Nebraska on March 6, 1957 and passed away in Aurora, Nebraska on May 9, 2018, at the age of 61. Sterling grew up in Laurel and attended Laurel-Concord School. He graduated from high school and went to college for a year. While growing up on the farm, Sterling learned to work with his hands and began to learn about construction. Sterling was united in marriage to Julie Hirschman on June 25, 1976 at Wayne, Nebraska. Sterling and Julie enjoyed their 41 years of marriage. He worked with heavy equipment in Newcastle, NE, did excavation work in Maskell, NE and was a lineman for Cedar-Knox in Hartington, NE. Sterling worked for 30+ years for NPPD as a lineman, engineer tech and Operations Leader out of McCook, NE. before becoming the Retail Regional Operations Leader in South Sioux City, NE. His last job was Project Coordinator in York. Sterling was a member of St. Mary’s Catholic Church in Aurora. He enjoyed hunting, fishing and camping. Sterling loved his grandchildren and enjoyed following them in their activities. He was preceded in death by his father, Paul Stolpe; father-in-law, James Hirschman and brother-in-law, Patrick Hirschman. Those left to cherish his memory are his wife, Julie of Aurora; three children, Joseph (Amber) Stolpe of Aurora, Joshua (Karie) Stolpe of Grimes, Iowa and Monica (Brandon) Kliewer of Aurora; seven grandchildren, Andrew, Dawson & Collin Stolpe, Connor & Parker Stolpe and Brody & Kooper Kliewer; mother, Janet Stolpe of Magnet; two brothers, Cleve (Tammy) Stolpe of Belden and Reed (Penny) Stolpe of Magnet and several nieces and nephews and other family members and friends.